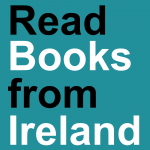 ‘Read Books From Ireland’ is an initiative led by Books Ireland magazine in partnership with Publishing Ireland to showcase and promote Irish-published books and authors abroad. This collaborative project seeks to reach new audiences and readers with an interest in Irish books and writing across the UK, USA and the wider international market. The focus is on highlighting the high quality and breadth of Irish publications being produced in Ireland, and by local, indigenous publishers. The ‘Read Books from Ireland’ initiative seeks to support smaller, independent publishers by working together to share resources, time and energy in order to bring the best of Irish books (fiction and non-fiction) to a global audience. In April 2016, Publishing Ireland presented a showcase of books relating to the 1916 Centenary at ‘Welcoming Home’—a commemorative event in Pier A, New York City. With support from the Irish Consulate in New York a broad selection of history publications (15 Irish publishers were involved) were shipped over in the diplomatic ‘bag’. Two representatives from Publishing Ireland/Royal Irish Academy and Books Ireland magazine travelled over to manage the book display and a catalogue with details on each title and publisher was created and distributed throughout the event. The book display was donated to the Consulate as a gift. The response to the display was overwhelming and this feedback laid the foundations for the ‘Read Books from Ireland’ collaboration. In early 2017, ‘Read Books from Ireland’ was invited to programme an Irish literary day at the London Irish Centre, Camden, with a range of speakers, panel discussions and workshops. The event, which took place on July 21 2017, was partly funded by Culture Ireland, hosted by the London Irish Centre, and involved a number of Irish publishers and their authors, including The History Press (Ireland), New Island, Little Island, The O’Brien Press, Children Books Ireland and Writing.ie. The Royal Irish Academy hosted a literary networking reception as part of the proceedings and a pop-up bookshop was also on site. Following a meeting in October 2017 with the Institute of Irish Studies, University of Liverpool, ‘Read Books from Ireland’ was invited to be involved in a two-day Irish language cultural event on January 26-27 2018, hosted by the Institute in their London campus. The programme covered film, literature and Irish language seminars. A representative from Cois Life gave a talk on Irish language publishing, and the broad range of Irish language books available in Ireland. A display of titles from over 10 Irish publishers was set up for conference attendees to browse during coffee and lunch breaks and the books were also on display during an evening reception with guest speaker Minister Joe McHugh. Leaflets and catalogues from the participating publishers were distributed and an RBFI information sheet with contact details for all publishers was produced in advance. The book display was donated to the Institute of Irish Studies, University of Liverpool. Further to meeting at Irish language event in London, January 2018, ‘Read Books from Ireland’ has been invited to run another book display / pop-up bookshop at the Gaelic VoiceS Festival in Camden, London. Currently exploring options for partnering with an Irish language organization for funding and resources. ‘Read Books from Ireland’ will be taking a stand at the Words Ireland WordCon event in May. This is an opportunity to outline the aims of this project and to speak to new partners and collaborators for future events. Following a visit to the Institute of Irish Studies, University of Liverpool, and the Liverpool Irish Centre (formerly St Michael’s) in October 2017, plans for an Irish literary day are now underway for next October as part of the 2018 Liverpool Irish Festival. Details to be announced summer 2018. For more details on this project or if you would like to discuss a potential literary showcase for a festival or Irish cultural event, we would love to hear from you.